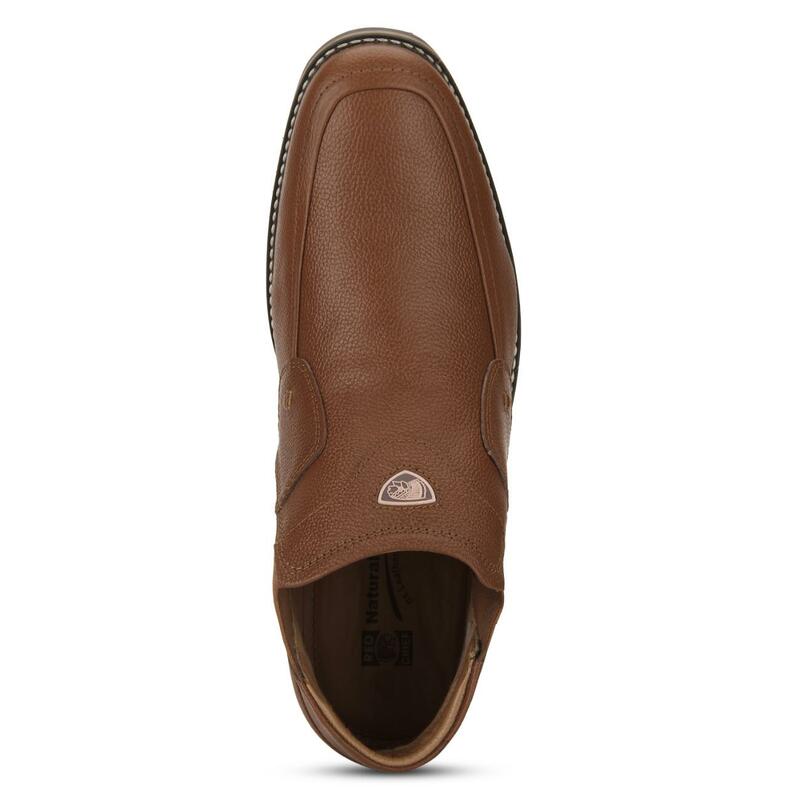 Specifically designed for a cool and dashing man like you is this pair of tan coloured casual shoes from Red Chief. 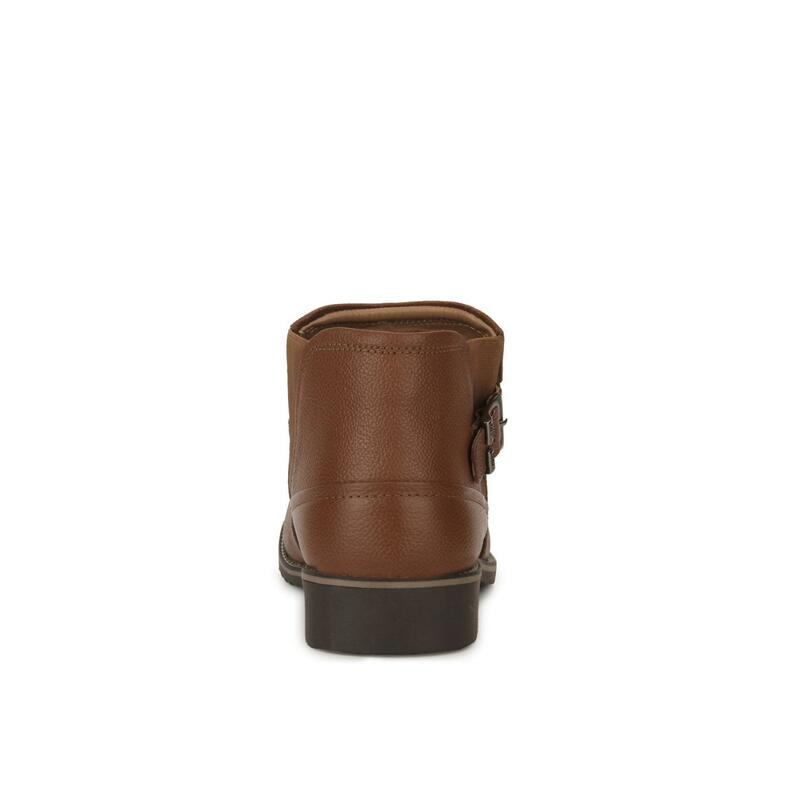 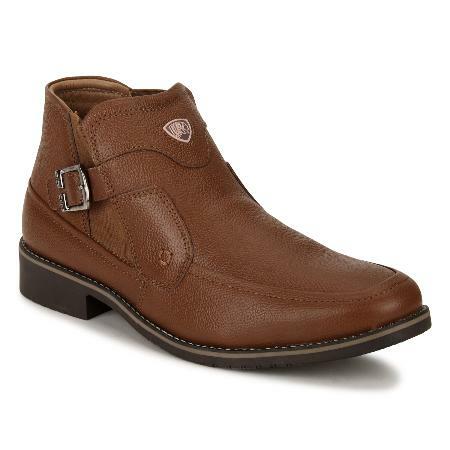 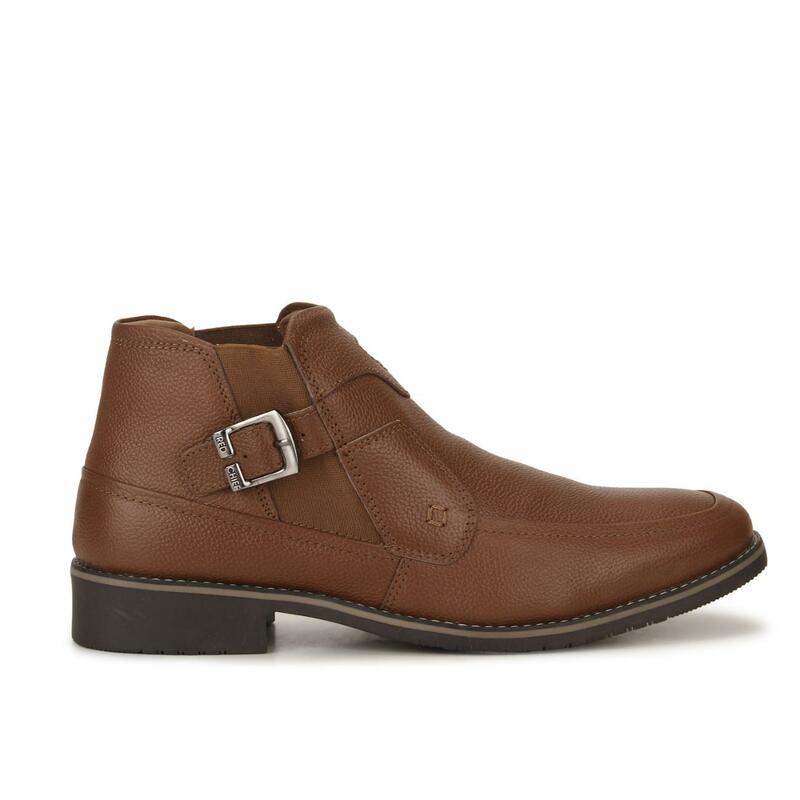 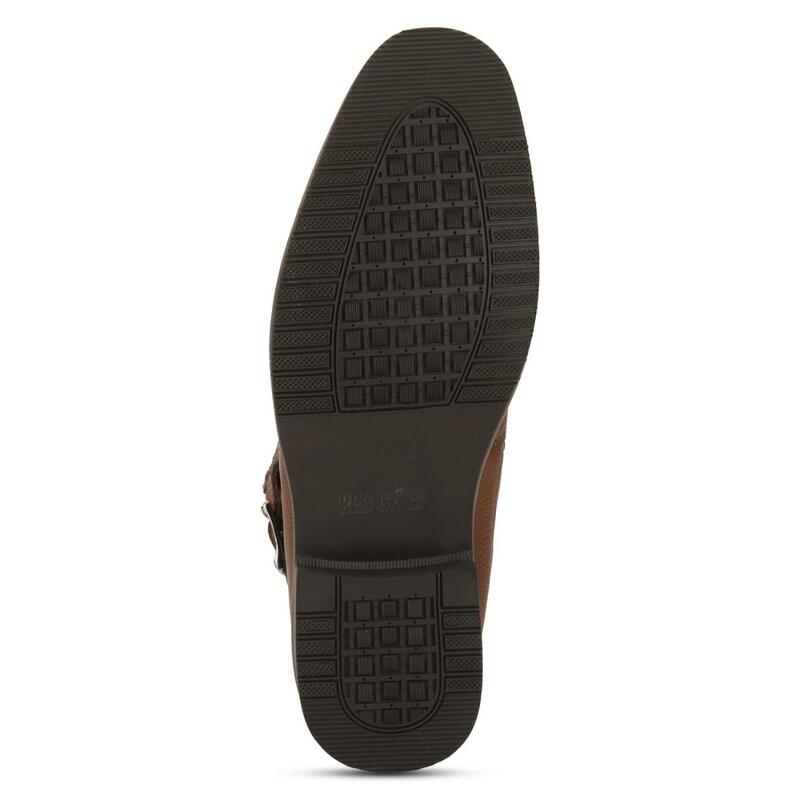 These leather shoes are designed with buckle closure on the side for snug and easy fit. 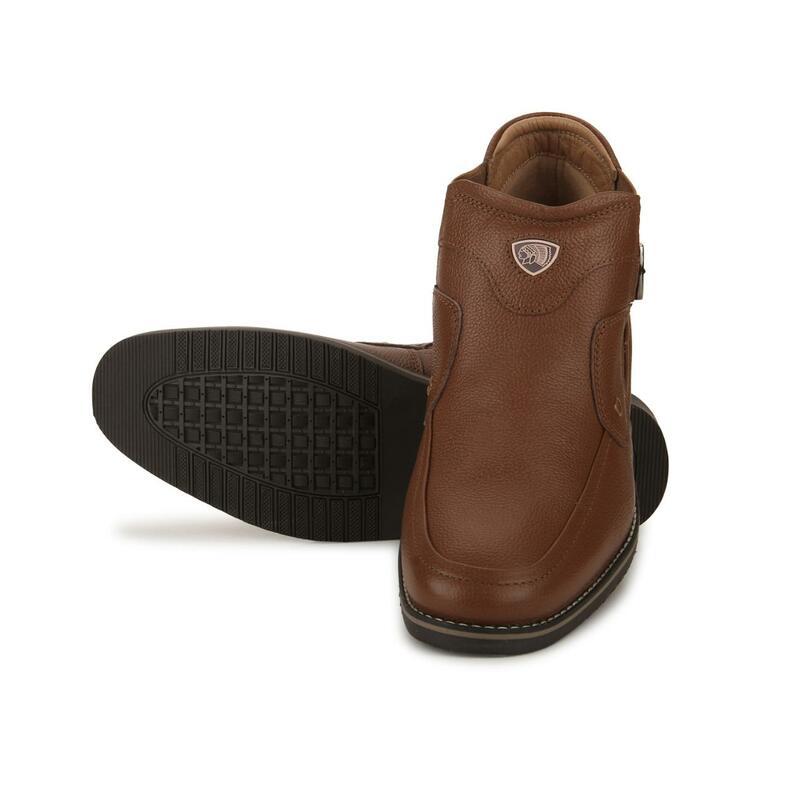 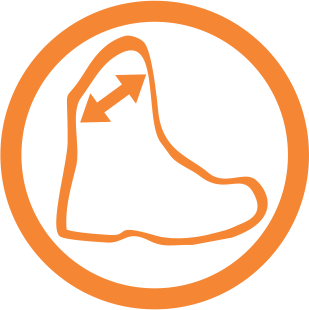 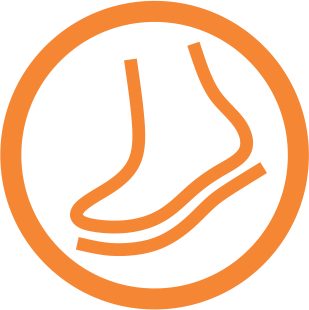 The contrast and grooved TPR (thermoplastic rubber) sole assures colour pop-up effect and firm grip on the ground. 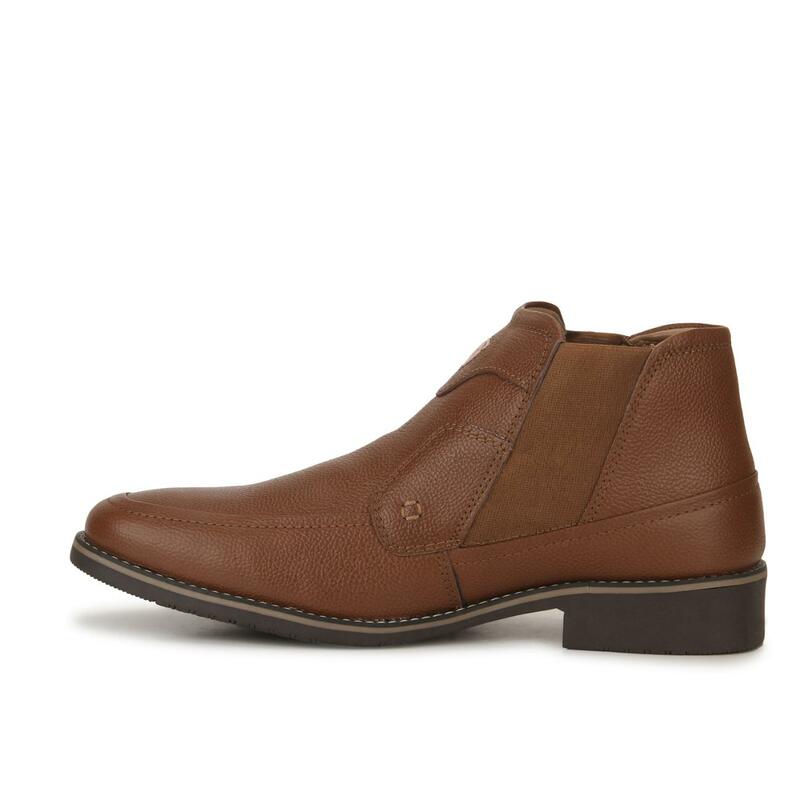 Team these cool and trendy shoes with a shirt and chinos as you head out for the day.